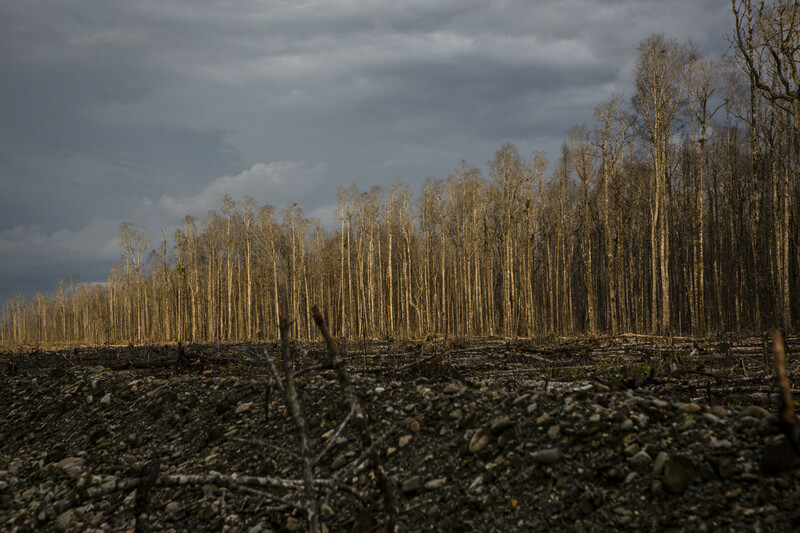 A view of dead trees affected by gold mine waste, known as tailings, in Timika, Papua Province, Indonesia. Environmental officials have warned of the potentially catastrophic impact of a planned gold mine in a conservation zone in eastern Indonesia amid mixed signals from the district chief responsible for approving the project. The proposed mine would cover 90 square miles, an area four times the size of Manhattan, in Wondama Bay district in West Papua province. Eighty five percent of the district, though, sits within Cenderawasih Bay National Park, while parts of it also overlap onto or border the Wondiwoi Mountains Nature Reserve—both protected areas. The planned site also straddles the ancestral lands of three indigenous groups: the Kuri Wamesa, the Rasiei, and the Naikere. 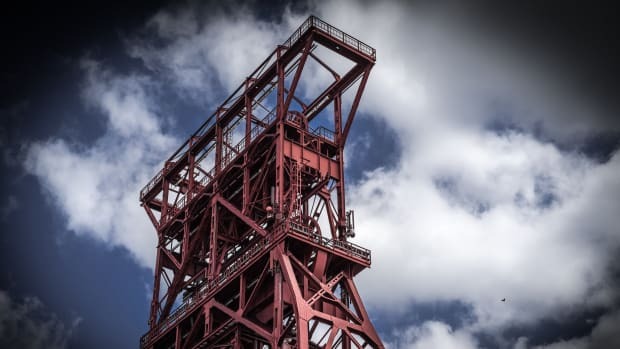 The company applying for the mining permit, PT Abisha Bumi Persada (ABP), is based some 1,860 miles west, in the city of Bandung on the island of Java. It reportedly plans to operate for 15 years, and expects to mine 800,000 tons of ore per year, yielding 440 pounds of gold annually. 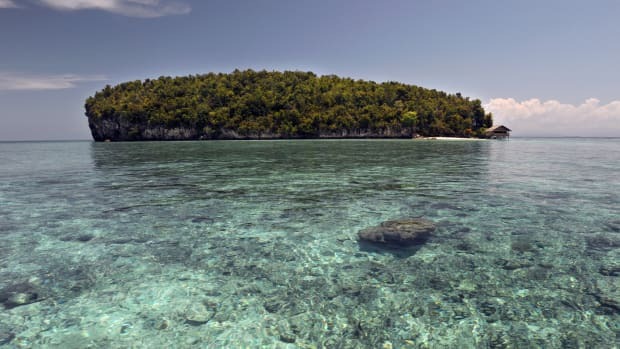 Ben Saroy, head of the agency that manages Cenderawasih Bay National Park, warned that establishing a large-scale gold mine like ABP has proposed could damage the wider conservation area. Among his top concerns, he said, was the waste from the mining operations, such as mercury, that could pollute the environment, and wind up in the food chain. Mercury is often used to bind gold from ore, and is typically burned off and discarded afterward, eventually ending up in rivers. 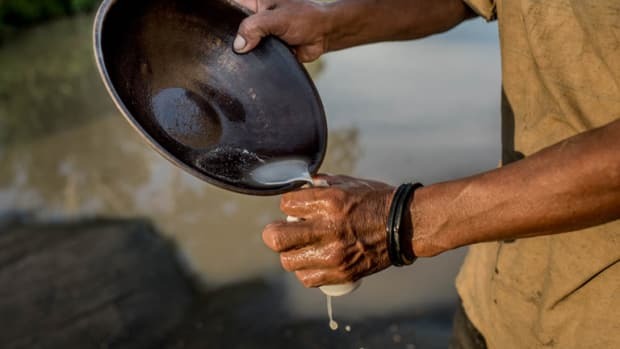 In 2017, the Indonesian government ratified the Minamata Convention on Mercury, committing to phase out the use of the heavy metal in small-scale gold mining by 2020. "The impacts from any mercury contamination will be only apparent in 10 to 20 years, as babies are born blind, permanently disabled, and with other diseases," Saroy told local media. "The waste must not be dumped into the sea." He also warned that tourist arrivals to the national park could go down "if they know that the area has been contaminated with mercury." 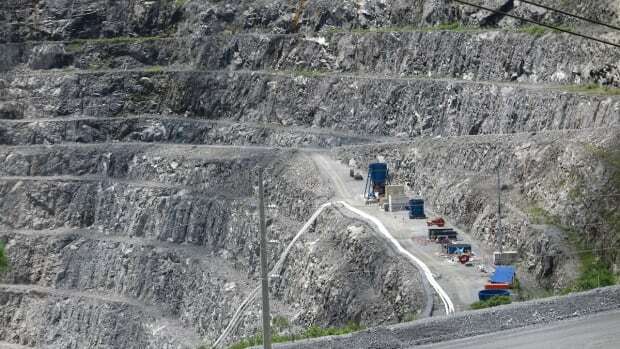 ABP is reportedly in the process of obtaining an environmental impact assessment, known locally as an AMDAL, as a prerequisite for getting a mining permit. Rudolf Rumbino, the head of the West Papua government&apos;s environmental agency, said his office would not issue an AMDAL without assurances from environmental non-governmental organizations (NGOs) and the provincial government&apos;s research and development agency that the benefits of the mine would outweigh any disruption to the environment. "Although some of the local communities have given their support, we will rely on the advice of NGOs and the R&D agency because they know better about the positive and negative impacts from this mining," he told local media. Charlie Heatubun, who heads the R&D agency, was also skeptical about allowing gold mining in the district, saying it would create a lot of risks, including the further impoverishment of the local people. "Gold mining promises quick profits for the area, but that profit may not be worth the negative impacts," he told local media. He said tourism remained the best option for the long-term development of Wondama Bay district. "If we develop tourism, we can ensure that the environment won&apos;t be damaged," he said. "The people can profit from the tourist visits and from related tourism businesses." Prioritizing eco-friendly tourism over resource exploitation was the same argument used earlier by the Wondama Bay district chief, Bernadus Imburi, who has the final say on whether the mining permit is issued. "We don’t have forests or gold that can be exploited to help [develop the economy] in this area," Imburi said last December at the signing of an environment-focused development framework with representatives from World Wildlife Fund-Indonesia and Cenderawasih Bay National Park. "We are confident that the potential of Cenderawasih Bay National Park and Wondiwoi Mountains National Reserve will serve as valuable capital to increase our regional revenue," he added. "The tourism sector is the only top priority for Wondama Bay district in increasing our local revenue." By February, however, Imburi appeared to have changed his mind, attending a discussion hosted by ABP with community representatives at which he spoke of a "win-win" situation for all sides. "I hope [ABP] manages everything by the book so that the company can operate and the local people can also live," he said as quoted by local media. The discussion was part of ABP&apos;s AMDAL obligation to allow communities that would be affected by its proposed operations a chance to weigh in. The district chief, though, appeared to discourage any opposition when he told those in attendance that "the local people must not act in such a way that the company can&apos;t proceed." In any case, there was little pushback from the community representatives, who said they approved of the proposed mining operation, as long as their rights as indigenous people were upheld and they weren’t "disadvantaged" further down the road. They also called on ABP to prioritize the hiring of workers from local communities over those from outside. The Indonesian half of the island of New Guinea, administratively split into the provinces of West Papua and Papua, is all too familiar with the "resource curse." For decades, a subsidiary of United States-based Freeport McMoRan has run the world&apos;s biggest copper and gold mine, Grasberg, in Papua province. But its operations, wildly profitable for the company and for the central government in Jakarta, have done little for the development of local communities. Papua and West Papua remain the most impoverished provinces in Indonesia, with life expectancies and infant and maternal mortality rates that are among the worst in Asia. Freeport&apos;s subsidiary has also long been criticized for a litany of environmental offenses, as well as for funding security forces that have been widely accused of rights violations against indigenous Papuans. 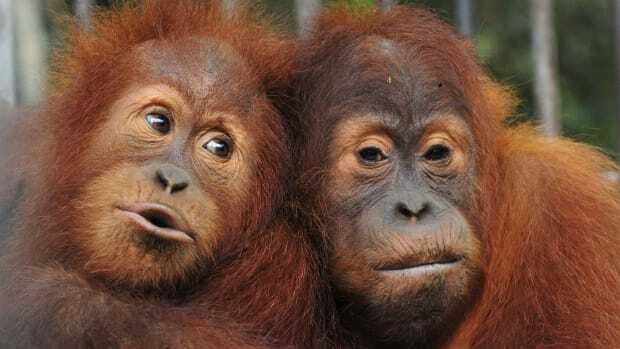 In recent years, another resource has threatened to destroy the ancient and pristine rainforests that make the island a biodiversity hotspot like no other: palm oil. 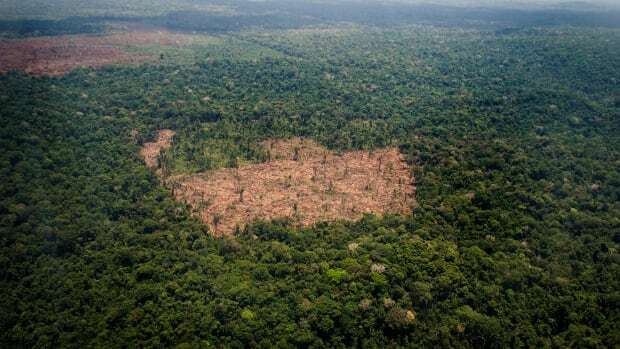 Major plantation operators, having largely depleted the forests of Sumatra and Indonesian Borneo, are now increasingly eyeing the vast, untouched wildernesses of Papua and West Papua. Charlie Heatubun, the West Papua R&D agency head, summed up the quandary of a region awash in natural wealth but falling short of most human development metrics: "Right now, we may be [financially] poor, but we are so rich in natural resources. We could end up being poor in both ways, and that’s a huge problem." Activists point to rights abuses, ecological disasters, and what they believe to be unfair distribution of profits.